EL SEGUNDO, CA — The Los Angeles Kings are in Buffalo where they begin a five-game road swing tonight (4:30 PM PST, televised on Fox Sports West in Southern California, and on NBCSN nationally), a trip they believe is one where they need to start putting together some wins. But the first game of this trip could be a trap game. Indeed, the Buffalo Sabres are last in the Eastern Division, 15th in the 16-team Eastern Conference, and 28th in the 30-team National Hockey League. With a 9-16-2 record, good for 20 points, the Sabres are nine points behind the Florida Panthers for the eighth and final playoff berth in the Eastern Conference. In other words, the Sabres are one of the worst teams in the NHL—the kind of team that the Kings often fail to put in their best effort against. 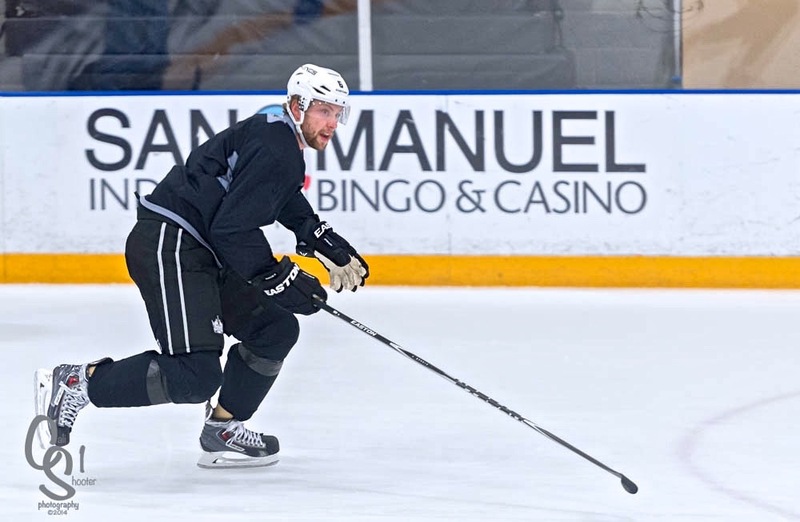 Defenseman Jake Muzzin said the Kings have to focus on one game at a time. Continuing to sputter on the road, as their 3-4-4 road record indicates, cannot continue if the Kings expect to make the playoffs. “We’re going to need to put some segments together, some streaks to get some points to secure a playoff spot,” Muzzin stressed. But even with that knowledge, the Kings are not looking at the road trip thinking that they must earn, say, three or four wins in the five games. Indeed, it goes back to the one-game-at-a-time focus. Although he noted that the Kings would deem the trip successful if they earned six or eight of the possible ten points on the trip, veteran center Jarret Stoll has bigger plans. After 27 games, the Kings are on pace to earn 100 points in the standings by the end of the season, but just barely. If tradition established over the last few seasons holds, that should be good enough for a playoff spot. However, they are seventh in the Western Conference, tied in points (33) with the eighth-place Winnipeg Jets, and just three points ahead of the ninth-place San Jose Sharks. The Kings are also in fourth place in the Pacific Division, trailing the Calgary Flames by three points. If the playoffs were to begin today, the Kings and Jets would be the wild card teams in the Western Conference. But as illustrated here, they are right on the edge of being out of the playoff picture. The Kings are well aware of that fact, and are looking at their current road trip as a huge opportunity to move up in the standings. It was a real pleasure to finally meet you and shake your hand at Bob Millers movie premier. Thanks.